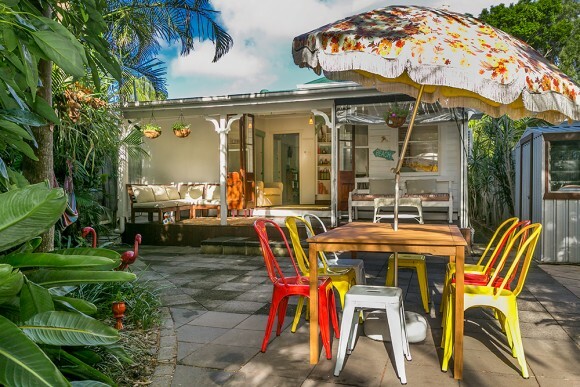 Looking to experience a Holiday House in Byron Bay? Then look no further than Byron Bay Holidayz, a local agency dealing exclusively in Byron Bay Holiday Accommodation. Whether you require Byron Bay accommodation for the family or extended family, a group of friends, a conference or team building exercise we can match the right accommodation for your needs. Our local team can find the right property for the occasion, we go further to match budget, property size and location, having extensive knowledge of Byron Bay and it’s surrounds. Byron Bay Holidayz not only finds you the right style of accommodation, but can also assist with activities and bookings during your stay. From skydiving, surfing lessons, hot air ballooning or a relaxing day spa experience, do not hesitate to contact us for Byron Bay information. As locals, we also know the best eateries, restaurants as well as places to have a drink and a night out. Byron Bay Holidayz has holiday houses on and near the various beaches of Byron Bay and also central to town as well as properties in the hinterland that surrounds Byron. We have an extensive array of other accommodation types, from cosy apartments right in town to luxury beachfront apartments as well as motel and caravan park options to suit. Our house range also includes a number of properties that are pet friendly, so there is no need to leave your fury friend at home. Be sure to check out our HOT DEALS accommodation page for discounts on our holiday house accommodation and other Byron Bay accommodation. You can search all properties at byronbayholidayz.com.au and Book Online. If you require help, please contact out reservation team on mobile 02 6685 6985 or email [email protected] to discuss your requirements. We look forward to hearing from you.